Estate planning is something that everyone should consider, regardless of age. Some people just take life for granted, oblivious to the consequences of not planning their finances in advance. Some people find the whole idea of planning their estate to be overwhelming. This causes many people to put off planning their estate until it is too late. If you only realized what things that estate planning can do for you, you may make more of an effort to get it done sooner than later. The following is a non-inclusive list of things that estate planning can do for you. These are not necessarily in order of importance. Planning for your future is one of the important things that estate planning can do for you. It is not wise to live your life without planning your estate. This is because of the fact that you never know what the future holds. It would, therefore, be good to relieve your beneficiaries from more suffering when you have passed on. Having your estate planned for them eliminates a lot more anxiety for your beneficiaries at a time they may not be thinking clearly during their time of mourning. Minimizing tax is one of the great things that estate planning can do for you. By placing your assets into a trust, they can transfer with the least amount of taxes and without probate. If you have a business, you are able to transfer assets to your children and still retain a source of income by creating a grantor retained annuity trust. This makes certain that the business ownership transfers to your beneficiaries while providing the income you need during your lifetime. There are several tools to use to help with issues such as mental or physical incapacity. They are such things as living wills and durable powers of attorney. Some of the things that estate planning can do for you is to help you plan for circumstances in which you may become mentally or physically impaired due to an accident or illness. These allow someone that you designate to make important decisions regarding your finances or health choices. Estate planning helps in determining at what time a child can to gain unrestricted access to assets after the demise of all parents. Without a proper prior plan on when and how children should access or use certain assets, children might end up misusing what has been left to them. Also, setting up the access restrictions beforehand helps to eliminate disagreements and clearly spells out the parent’s wishes. One of the things estate planning can do for you is to dedicate a portion of your estate to help support your favorite charity. This can be done in advance to ensure the charity receives the portion you want them to have. An estate plan includes detailed instructions for how a parent or parents would want their assets distributed to their children. Specifying these desires ahead of time, and using the best legal methods to do this, helps to ensure that your beneficiaries receive their portion quickly and with the least government involvement and restrictions. Estate planning helps in preventing possible conflicts among your beneficiaries after you are gone. Having your wishes spelled out can avoid disagreements and bad feelings among your children and family members. You have worked hard to build your estate and you want the most possible to go to your beneficiaries. Using the tools available, such as trusts, etc., you can ensure that your beneficiaries receive the maximum possible with the minimum going to taxes. Adequate and proper estate planning can help your small business to run smoothly after you are gone. Without the proper instructions and ownership transfers, the business could be ensnared with red tape, difficulty accessing funds needed to operate the business and pay its bills. Proper planning can avoid these restrictions and allow the business to function as normally as possible. Just knowing that your affairs are in order can bring much-needed peace of mind to allow you to go on and enjoy the finer things in life without worrying about how things will be taken care of after you pass on. It can help you free up your mind to focus on enjoying your retirement and spending time with your friends and family. 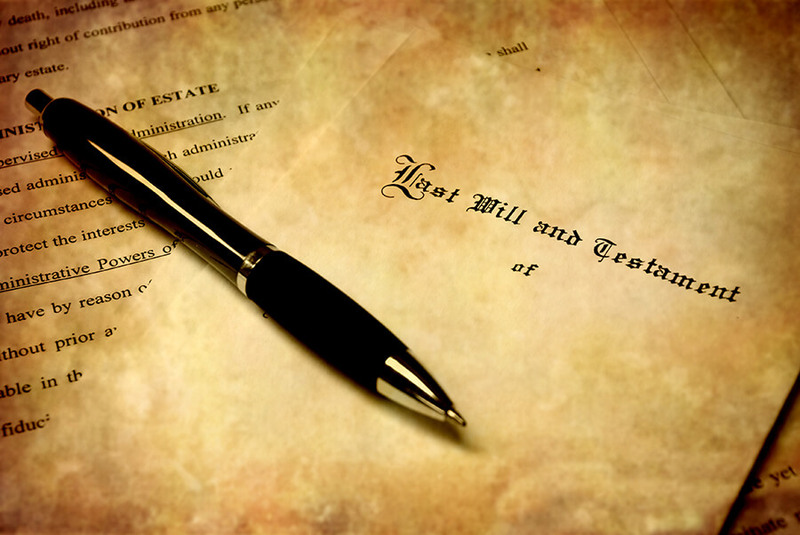 Some people operate on the premise that estate planning is only for the elderly. This could not be further from the truth. Accidents happen every day and illnesses occur at the most unexpected time. There could be a life-changing event in a single moment that alters your life complexly. Something could happen that leaves you incapacitated or takes your life and leaves your loved ones behind to figure things out. If there are no estate plans in effect, this could put a severe financial burden on them or cause them unnecessary stress and grief. Plan for your future by contacting Haveson and Otis online or by calling 609-921-0090 today to schedule a free confidential consultation to determine the best planning tools for your estate.